Never underestimate the value of a great first impression. Whether showing a product, making a pitch, or giving a presentation, that first visual impression means a lot. Whether or not that is always fair or an accurate reflection of the whole is another question. One thing is for sure: you better be prepared and use that first impression to your advantage, and here is one way how. 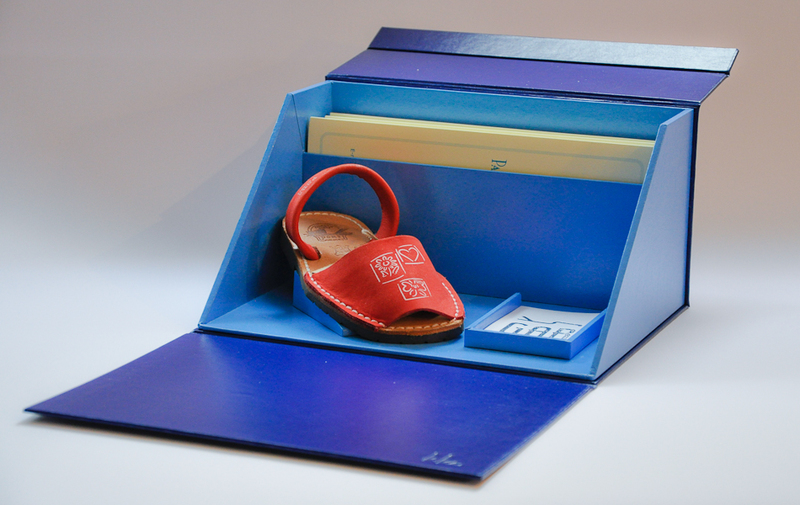 This is an example of a project I did with a client to design a presentation box for a line of wonderful leather summer sandals that are styled for women, men, and kids alike. The idea was to create a presentation box that could be used to display a sample shoe and neatly contain all the product information, leather samples, color swatches, and ordering details. 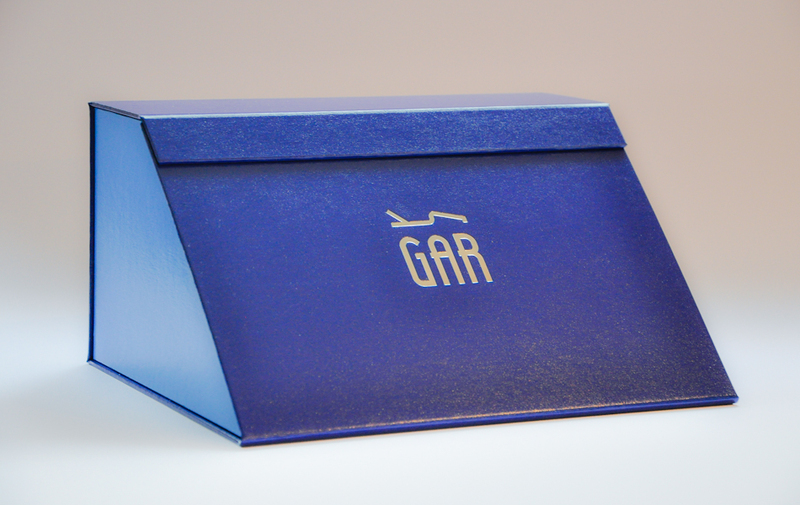 The presentation box is made with a sleek and robust leather-like material in a sharp combination of colors that looks elegant stamped with the silver GAR logo. 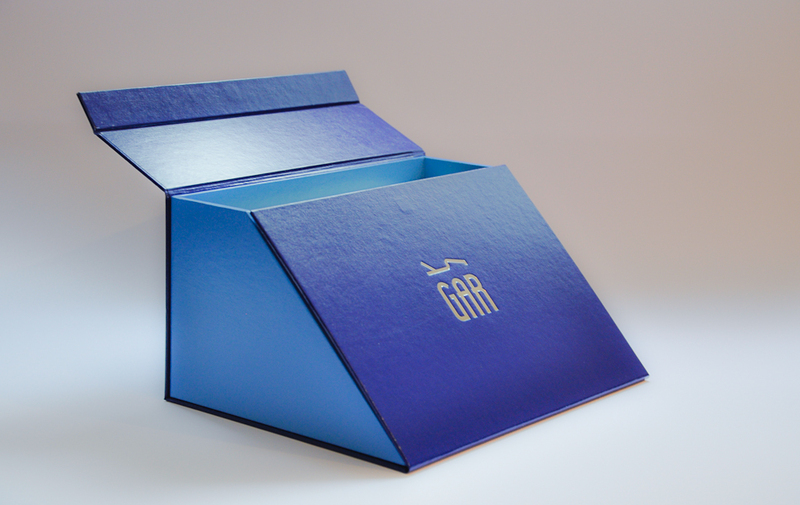 There is a wedge for the sample shoe to rest on, a compartment for leather sample cards and brochures, as well as a nifty holder for easy access to business cards. The fun shape of the box immediately draws attention and folds open to create a nice display platform. I produced the box as a small custom edition of 8 pieces so that my client could leave the boxes with her potential customers to browse the collection in peace and on their own time. All the information they need is neatly contained within the presentation box. With this box in her hands, she can go to her clients and without needing to say a word, the customer is intrigued and also impressed. There is a positive expectation of the quality of the product and the professionalism of the company. A great first impression is made.